The South Korean electronics maker rescinded its initial offer to buy a 75 percent stake in Conergy's solar panel plant in Frankfurt, citing global financial market turmoil. LG Electronics has decided against buying a majority stake in Conergy's solar panel business, a move that can make it difficult for the troubled Conergy to resuscitate its operations. The South Korean electronics giant in September announced a preliminary deal to form a joint venture with Conergy and purchase a 75 percent stake in Conergy's Frankfurt solar panel plant. The deal would have given LG an entrance into the solar panel manufacturing business (see LG Plots Solar Partnership With Conergy). LG already makes polysilicon - the main ingredient for solar cells - and develops solar power plants. LG has since reversed its decision as a result of the global financial market turmoil and "changes in strategic direction," according to Conergy Thursday. The two companies might work together in the future, said Conergy. But the assurance didn't help its stock, which fell as much as 22.3 percent on Thursday. Conergy also said it is in discussions with other companies about selling a stake in the solar panel plant, or it might just keep it after all. The German company, founded in 1998, had fallen on hard times long before the financial markets' freefall sent governments around the world scrambling to implement bailout plans. Conergy has been undergoing major restructuring by selling off noncore businesses this year. The company sold its wind-turbine operation to the private equity firm Warburg Pincus in September and spun off its inverter and solar-panel mounting businesses. 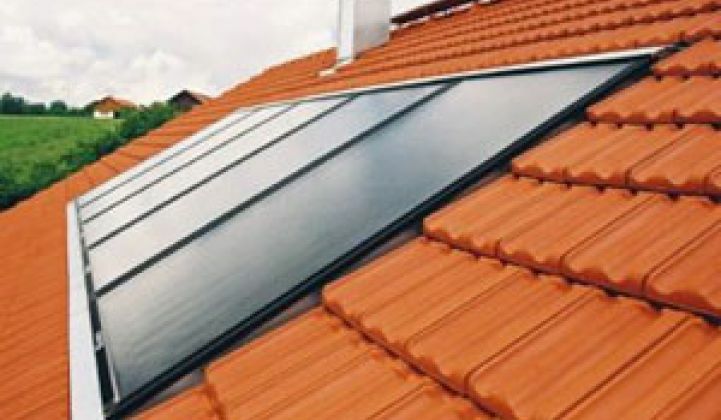 Earlier this year, Conergy sold a plant in Austria that makes solar-thermal collectors. Conergy, which focuses on developing and installing solar and wind power plants, narrowed its losses in the second quarter to €7 million ($10.5 million), compared with a loss of €43 million ($66.8 million) from the first quarter and €29 million ($43.5 million) from the second quarter of 2007. Conergy is working on raising more than €250 million ($322.2 million) by the end of the year, a plan that hasn't changed as a result of the lackluster capital markets.